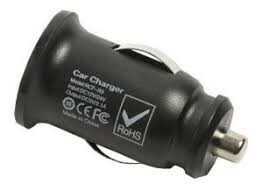 The Iridium GO!™ auto charger is designed to charge the Iridium GO! device using DC power source. With 1.5A for faster charging, it recharges the Iridium GO! rechargeable battery in 4 hours.